Water is one of life’s most versatile substances; destructive and healing with the capacity to make you either very happy, or utterly miserable. Well you’ll be pleased to hear that the Sea of Cortez, which surrounds the Villa del Palmar resort at the Islands of Loreto, is of the healing, pleasant kind and the resort is perfectly placed to take full advantage of this. Sometimes known as the “aquarium of the world” this part of Mexico is the perfect place for nature lovers and water sports enthusiasts. The Villa del Palmar at the Islands of Loreto offers it’s guests the very best experience; a luxury resort with all the best facilities, and an excellent collection of water activities to tempt guests of all ages and persuasions. For those who like to enjoy the water from the safety of a boat, or who have younger children, the resort’s glass-bottomed kayaks make the perfect way to see not only the Islands, but the marine wildlife and landscapes below the water’s surface. As an extra plus kayaking is also a great form of gentle exercise. 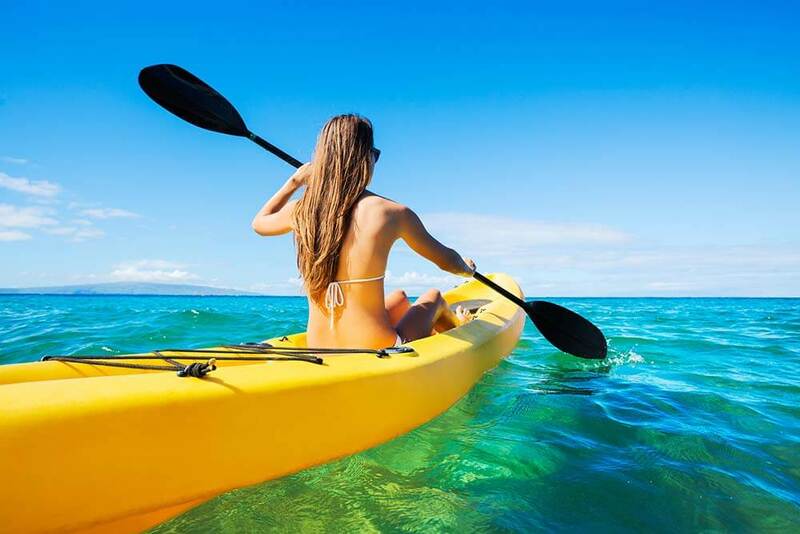 If you’ve ever wanted slim, toned arms then kayaking is something you should consider. Another fabulous excuse to see the islands of Loreto from a different perspective, paddle-boarding is not only a great way to get close to nature, but offers you the chance to work on your tan! The resort will happily lend you a board, and even give you lessons if you want or need them. It’s not uncommon to see a school of beginners paddling from one end of the bay to the other. For those who want to get up close and personal with the water and wildlife, but would still rather be nearer to the shore than the seabed snorkelling is the perfect halfway point. The shoals of exotic fish, clear waters, and good weather mean that you’re sure to enjoy yourself greatly! Danzante Bay is stunningly beautiful, and the currents in the bay are manageable too so you don’t have to worry about any older kids taking a dip. For the adventurous and curious, diving is a great activity to indulge in! Beginners can get their first lessons and trips under their belts at the Villa del Palmar at the Islands of Loreto resort, and certified divers can head out on their own! The subaquatic landscapes in and around the Islands of Loreto are interesting, and very pretty.